Lidl is located directly at 51-55 High Street, approximately a 9.60 mile drive north-west from the centre of London, in Edgware (by The Broadwalk Centre and St Anthonys Catholic Church). This store serves shoppers from the locales of The Hyde, Edgware, Burnt Oak, Mill Hill, The Hale and Stanmore. Today (Friday), operation begins at 7:00 am and continues until 11:00 pm. This page will give you all the information you need about LIDL Edgware, High Street, including the working times, address info, email address and additional significant details. Lidl is found in an ideal spot right near the crossroads of Whitchurch Lane, Station Road and High Street, in Edgware, London. Just a 1 minute trip from Forumside, Whitchurch Lane or Station Road; a 3 minute drive from Deansbrook Road or Camrose Avenue; and a 8 minute trip from Junction 2 (Five Ways Corner) of M1. For this store the Satellite Navigation postcode is HA8 7DD. The closest bus stops are at Springvilla Road or Station Road/St Margarets Church. Service on routes: 32, 79, 142, 186, 204, 251, 288, 292, 303, 340, 605, 606, 614, 619, 642, 644, 688, N5 and N16. The tube arrives and departs from Edgware Station (1750 ft), Canons Park Station (3780 ft) and Burnt Oak Station (4540 ft away). Service on the Jubilee and Northern lines. The train provides service to Mill Hill Broadway Station (1.38 mi away). Line that stops nearby: Thameslink. On foot you can find Canons High School, Lyndhurst Park, Edgware Community Hospital, Chandos Recreation Ground, Stonegrove Park, Edgware Bus Depot and Barnet FC Training Ground. The total number of LIDL stores currently operational in London is 76. 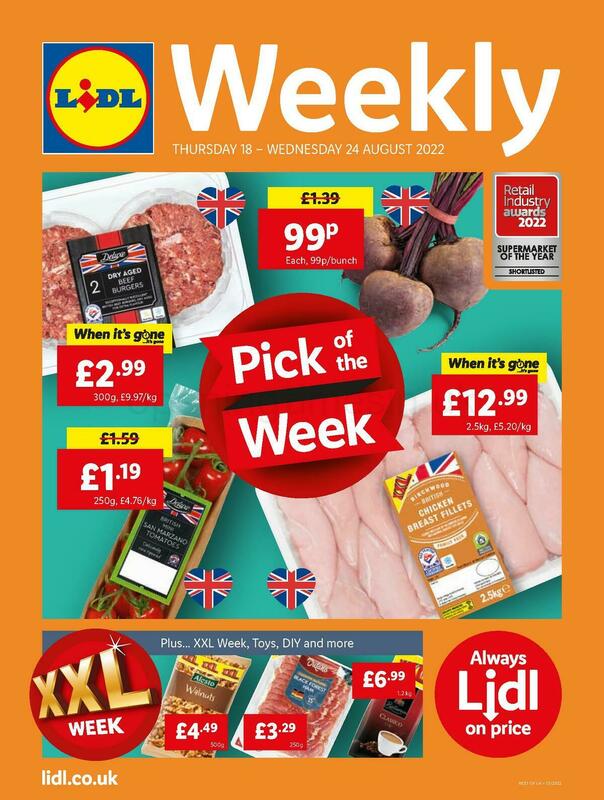 Click here for a full list of all LIDL supermarkets near London. During the UK holiday season, standard business times for LIDL in Edgware, High Street may be restricted. In 2019 the previously mentioned exceptions involve Christmas, New Year's, Good Friday or Black Friday. Take a look at the official website when planning your trip to LIDL Edgware, High Street, or phone the customer service line at 0800 977 7766 for added details about the seasonal working hours. Our team is working to supply you with the latest information as possible. If you find errors in the address info or opening times for LIDL in Edgware, High Street, please use this form to report a problem. Using the form provided below, you are invited to share your comments on LIDL, and rate the location using the star ranking system.